The Payments Council will enable mobile transfers between all UK bank accounts when it launches its mobile payments service in 2014. Barclays Bank already supports mobile payments, but the Payments Council will make it possible for 90% of UK banks to offer such a service from next spring. Barclays customers can use the bank's Pingit app to make payments to any UK bank account if the recipient’s mobile number is in the customer's contacts list. Eight financial institutions – which represent 90% of UK current accounts – have already committed to offering the new service from spring 2014, with more institutions set to join. Those already signed up are Barclays, Cumberland Building Society, Danske Bank, HSBC, Lloyds Banking Group, Metro Bank, RBS and Santander. The take-up of Pingit was huge, with more than 120,000 people downloading it within five days of its release. Due to the appetite for easy mobile payments, Barclays lowered the age of people who can use it from 18 to 16 and raised the limit on the value of transactions. “The mobile payments project is a fantastic example of the unique role the Payments Council can play in delivering far-reaching, innovative improvements for customers,” said Adrian Kamellard, CEO of the Payments Council. "This new service will offer a simple, secure way to split a bill for dinner, receive money from a friend or pay a tradesman without needing to remember or share account details," he said. Payments Council research of 5,000 consumers revealed that the service is likely to prove most popular with smartphone users, who accounted for two-thirds (67%) of those surveyed. One in three smartphone users said they were either "definitely" or "extremely likely" to sign up to the service at launch. The research also highlighted the importance of the security of mobile payments. The service will ensure that a passcode or similar security feature will be required to authorise payments and will enable financial institutions to remotely disable an account in case of suspected misuse. Banks will be able to innovate and customise the service. The new mobile payments service will harness the Faster Payments service and the Link network to complete transactions. This follows the recent completion of the central database that enables banks to securely store their customers’ mobile phone numbers and link them to their account details. European banks are racing to catch up with the mobile services available in the US and Asia. Despite a stagnating economy and the resource-draining process of adhering to thousands of pages of regulations, UK banks are investing time and money on mobile and internet technologies to improve customer services. 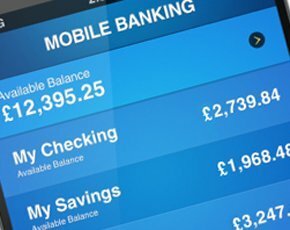 Chris Skinner, chairman at the Financial Services Club, said mobile banking services will be a major focus for banks this year. “This is the year that UK banks will truly move to mobile. Barclays led with Pingit, but this year will see a lot more from banks such as Lloyds banking Group and HSBC,” he said. Skinner said this could lead to banks closing down branches, just as the introduction of internet banking did 12 years ago.